A guardian ad litem is frequently appointed in family law cases that involve allegations of child abuse, neglect, or abandonment. However, on can also be appointed in divorces and child custody cases, if one or more of the involved parties believes it is necessary for the child’s best interests to be protected. If you are currently going through a difficult divorce, and you are concerned about your child or children’s best interests being protected, then it may be wise to ask for a guardian ad litem to be involved in your case. Here’s what you need to know about appointing such an individual in your divorce case. According to the 2016 Florida Statutes, as stated in §61.403, the role of a guardian ad litem is to act as the “next friend of the child.” Essentially, this means that it is their duty to look out for the best interests of the child. The guardian ad litem independently investigates the facts of the divorce or custody case, and evaluates the facts to come to a conclusion regarding which solution would best support the child’s interests. These individuals are an impartial third party that have no connection to either parent, regardless of who may have appointed them to the case. It is important to note that a guardian ad litem is neither an attorney nor a direct advocate for the child. Rather, they serve as an independent fact investigator, and provide a report to the court with their impartial analysis of the case. 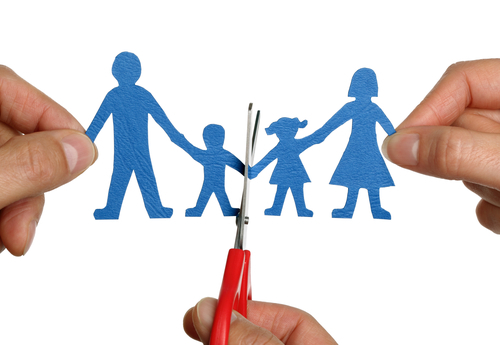 The judge can then use this report in determining child custody in your divorce case. It is also important to note that the guardian ad litem’s duty is not to promote the child’s wishes, but rather, to protect the child’s best interests, even if they conflict with the wishes of the child. So, if your child wishes to live with you, do not assume a guardian ad litem will make that recommendation to the court on your child’s behalf; their recommendation should be based solely on their independent review of the facts in your case. So, how do you decide whether or not it is appropriate to request a guardian ad litem in your divorce or child custody case? Frequently, this decision is made by the judge overseeing the case. If he or she feels that your child or children’s best interests are being compromised by the animosity in your case, he or she may appoint a guardian ad litem to defend the child’s or children’s interests. File a Motion for Appointment of Guardian Ad Litem (Florida Supreme Court Approved Family Law Form 12.942(a)) with the clerk of the circuit court in the county where your case is filed. Be sure to keep a copy of the form for your records. Mail a copy of the form to the other party in your case, or have it hand delivered via a process server. There may be a hearing on your motion. If so, check with the clerk of court, family law court staff, or judicial assistant to learn the legal procedure for scheduling a hearing. Once you know the date and time for your hearing, you will have to file a Notice of Hearing (General) (Florida Supreme Court Approved Family Law Form 12.923) and provide a copy of the notice to the other party. At the hearing, you will be expected to present your reasons for requesting a guardian ad litem. It is important that you prepare well for this hearing, and provide substantiated evidence for your concerns regarding protecting the child’s or children’s best interests. The judge will then make a decision regarding the appointment of the guardian ad litem. Filing this motion and presenting your case takes time and careful preparation, and it’s important that you handle this correctly. If you require assistance with this or any other matters regarding your Florida child custody hearing, please contact us.